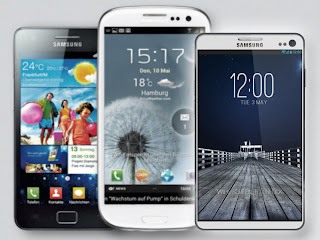 Are We Going To See Samsung Galaxy S IV At CES 2013? It has been around 7 months since Samsung revealed the Galaxy S III and its still one of the most powerful Android device out in the market . Not only that, it's predecessor Galaxy S II is still rocking out in the market and is one of the most powerful dual-core phone. It looks like Samsung is all set to release their next Galaxy Device, Samsung Galaxy S IV. The official Samsung Tomorrow blog has uploaded a video telling us to be prepared for January 8th-11th, which is the date for Consumer Electronic Show. Still we are not sure about it being the launch event for Galaxy S IV. There are many rumours about S IV being launched next year. We have also heard Galaxy S IV will be featuring an unbreakable display and a bigger and better screen with higher pixel density. But don't you think its too fast for Samsung to launch Galaxy S IV with S III still doing a great job out in the market?